Okay, first of all, if you guys remember, to show you how much we appreciate you guys participating in our Scoop posts, we’re picking a commenter from the previous month’s Scoop posts and sending them a little prize! This month, it was Allison from the Snicker’s post a few weeks ago. We’re sending Allison a Bare Minerals starter kit (just because we love you guys, not sponsored in any way). Congrats, Allison! My husband and I have quite the DVD collection. Actually, it’s 90% my husband and 10% me–before we met (and really, for awhile after), I rarely bought movies and I NEVER bought TV shows on DVD, but that was one of his things. But the longer we’ve been married, the more I’ve hopped onto the DVD-buying bandwagon and now, for better or worse, I am a participator. Because of our collection (and my fondness for TV-watching), my friends frequently ask what they should watch next. You know, after they have a baby or are recovering from surgery or during Christmas break or late summer, that bleak period between when The Next Food Network Star ends and the fall shows begin. And honestly, I kind of love picking the perfect show for them based on their personal tastes and what they’re in the mood for and what’s going on in their lives. Comedy? Drama? Dramedy? Gotcha covered. I have a whole list of shows that I love that are currently still airing new episodes, but for today’s post, I wanted to share shows that are off the air, meaning you can either find the entire thing on DVD or for streaming (like from Netflix or Amazon). Also, for whatever reason, I haven’t included anything that has been off the air for less than a year. You know, just to be arbitrary (kind of like how I just picked 14 shows). Also, I haven’t included anything that would probably be R-rated if it were a movie, but, like any media, you’ll have to use your own discretion. 30 Rock was the first show that I can remember where we were laughing so hard that we had to pause it and rewind it so we could see the things we missed while we were laughing. I could relate to Tina Fey’s character on so many levels–sarcastic and goofy and a little nerdy–and the crazy supporting characters and situations always led to hilarity. It’s not really everyone’s thing, but if you’re in the mood for something a little quirky, this might do it for you. 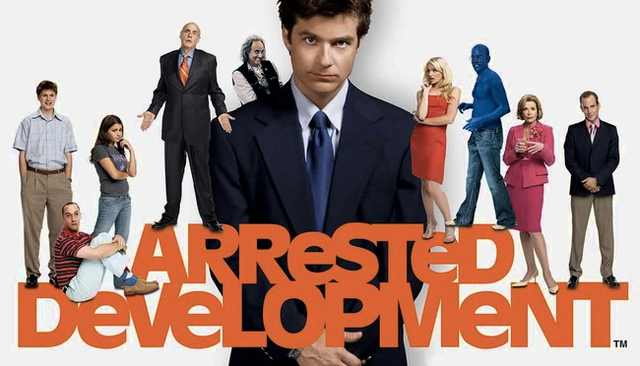 Okay, if 30 Rock is a little quirky, Arrested Development is a lot quirky. It’s kind of a love-it-or-hate-it show, and it’s not one you can really watch while you’re surfing Facebook because so many of the funny things are plays on words or puns or recurring jokes. But. Once you watch it (“watch” is a loose term…more like “experience”), you’ll find things creeping into everyday life for years to come. Remember, there’s always money in the banana stand. After each of my babies, I told myself I had the entire series of a TV show to chill out and then I had to get back to real life. With Will, it was How I Met Your Mother, with Meredith it was Gilmore Girls, and with Clark, it was Frasier. I’d watched it on and off for years, and pretty consistently for the last few years it was on the air, but I’d never watched it start to finish. It was so consistently funny and sweet, one of the last of its kind, and perfect for that post-baby time when you just want to be entertained and you don’t want anything too heavy. Friends is Friends–I mean, what can you say? I remember discovering it the first year it was on–I was in 8th grade and it was the episode where Rachel, Phoebe, and Monica are having a pajama party and burning stuff from their old boyfriends and I was laughing out loud, all by myself–kind of a first. For me, it was the first show I watched that was my show, not something my family was watching or my sisters told me I needed to see. And I watched it all the way from that moment when I was 14 to the finale, in a hotel room, married and just graduated from college, right after I found out I was having our first baby. Happy Endings didn’t last too long. It started out a little clunky and “I’m trying so hard to be funny,” but once it settled into a good rhythm, it became one of our favorites. It kind of borrows the Friends premise (and refers to that at least once) of single friends living in a big city, but it’s the humor is a little more off the beaten path than Friends. Aw, man. I remember when The Office was a little struggling mid-season replacement that started right after my oldest was born, before it transformed into one of THE comedies. Sometimes I forget how amazing the first season (just 6 little episodes) was, but really, it was magical from the very beginning. Okay, so my husband is a big science fiction/fantasy nerd, but I am not. Not really. There are times when I do love something, but those times are fairly few and far between. I watched Angel. I got mildly invested. And I decided if we were watching Angel, we should watch Buffy. So my mild investment in Angel turned into a full-blown love of Buffy. It was like Gilmore Girls in a Harry Potter universe. Throw in the nostalgia factor that Buffy and I were exactly the same age, so she graduated from high school the same year I did, and I was sold. Yes, the monsters and special effects were often campy and goofy, but it was never about the special effects (or the monsters), it was about the characters and the stories; the monsters were more metaphorical than anything. And then I got a cat and named it Willow and I officially became one of those girls. Yeah. My love of all things Friday Night Lights is long-established. Good golly, that show makes me feel things. If you watch Parenthood, you’ll know (Jason Katims is the creator of both of them)–sometimes it’s the big things, but sometimes it’s the little things that blindside you into a weepy mess, like someone convincing someone else to buy a car. If there was ever anything that made me want to love football, this would be it. Even though the end was a little rocky for me, the mythology and storytelling and deep human connection of Lost make the whole journey worth it. Kind of. I’m still trying to figure out what happened in the end. Apparently I have a thing for sketch comedies and shows about what happens behind the scenes of them. This is like the drama side of the coin of 30 Rock. It (sadly) only lasted one season, but it was smart and captivating and I wish there were more episodes. So many of my favorite shows started in the fall of 2007. I don’t know if it’s just because there were so many great shows that came out that year or if it’s because we had a newborn and my husband was in his last semester of school and literally home for, like, 6 hours a day (which he spent sleeping), but I have a lot of fond memories of TV-watching that fall. We actually recorded Chuck by accident–we were definitely not cool enough for a DVR, so we had an elaborate VCR recording system that went awry and recorded what ended up being one of our favorite shows. The premise is a little goofy–a super-smart nerdy dude has a crisis of confidence after he (unrightfully) gets kicked out of Stanford and is working at the equivalent of a Geek Squad. Through a series of unlikely events, he unknowingly becomes the recipient of all the government’s secrets, thus placing him in danger as well as making him a valuable asset. It’s action-y and sweet and fun and funny. I held out on watching Gilmore Girls for so long, but I started just as it was about to end and it kind of became my world–I wished I lived in Stars Hollow. It’s another one that’s great for when you want to invest emotionally in something, but you don’t want something too heavy or dark. You guys know all this–I’ve talked about it before. But if you haven’t watched it yet, you reallyreallyreally should. Scrubs started the fall after my husband and I got married and I just remember wrapping Christmas presents, those first Christmas presents when we had, like $25 to spend on each other, and laughing at Scrubs. It wasn’t like anything I had every seen; at that time, most comedies were still shot in multi-camera, either in front of a live audience or with a laugh track. So to have this small, intimate, single camera show with an interior monologue running the whole time, something that intertwined comedy and drama in a 30-minute time slot, was completely foreign (and I’ll maintain that even though Scrubs was never a massive hit with audiences, it changed the face of TV comedy). For the record, I don’t actually consider the last season of the show part of the show–most of the original cast was gone and the final episode of Season 8 was one of the most perfect, beautiful endings to a series ever, so I just pretend like there never was a Season 9. So those are my picks! What are your favorite shows that you think about going back to and watching from the beginning? I lovelovelove Friends and own all ten seasons on DVD. I’ve watched the entire series through at least a dozen times. I’m also a huge Buffy fan. I’ve watched both of those shows since I was a teenager. My most recent addition to my top pick shows is Veronica Mars. It totally sucked me in and kept me on the edge of my seat. It’s definitely a dark show, but I still love it. Veronica Mars has been on our list forever! You’re my kinda girl since you watched Chuck from the beginning. I watched it from the pilot and it will always be one of my all time faves. But I agree with this commenter, you definitely need to watch VMars. I can tell you’d love it from your other picks. I love every one of the shows on here that I have watched…so you’ve convinced me to start watching the rest I haven’t seen yet! I just really wish Friday Night Lights never ended. I binge watched all 5 seasons in 2 weeks and loved every minute of it. Ummmm, The West Wing! Have you seen it? I could watch it all again, in fact I think I will! Loved Friday Night Lights, watch Friends on reruns a few nights a week and I STILL laugh out loud! I have seen and loved most of the shows on your post. You should check out Eureka and Doctor Who. My husband and I loved watching those! Colin Ferguson on Eureka is brilliant. And we LOOOOVED Psych!!! Chuck was and still is my favorite show, but whenever I try to rewatch it, I have to stop at the end of season four because the series finale still devastates me. As for FNL, I have you guys to thank for getting me hooked on the show! I’d been hearing about it for years, but when I found out that one of the characters was awesome enough to have a brownie named after him, I was sold. 🙂 I think I got more emotionally invested in Dillon football games than I ever have in an actual sports game. Oh my gosh. The finale. Just finished watching Chuck on Netflix last week. That finale!! Ah! Totally understand the emotional investment in Dillon football games more than actual sports! 🙂 And I think yall have convinced me to watch Chuck. Never even considered it before. Buffy is hands down my all time favorite show. It’s what gets me out of bed and onto the treadmill. Knowing I can watch 45 minutes of guilty pleasure TV without the kids is priceless. My husband and I have a tradition of watching the entire series of Burn Notice every year. We start after tax season ends every spring. It’s like our reward for surviving (we’re both CPAs). My husband watched Burn Notice from the beginning and I was a casual watcher, but I always enjoyed it! 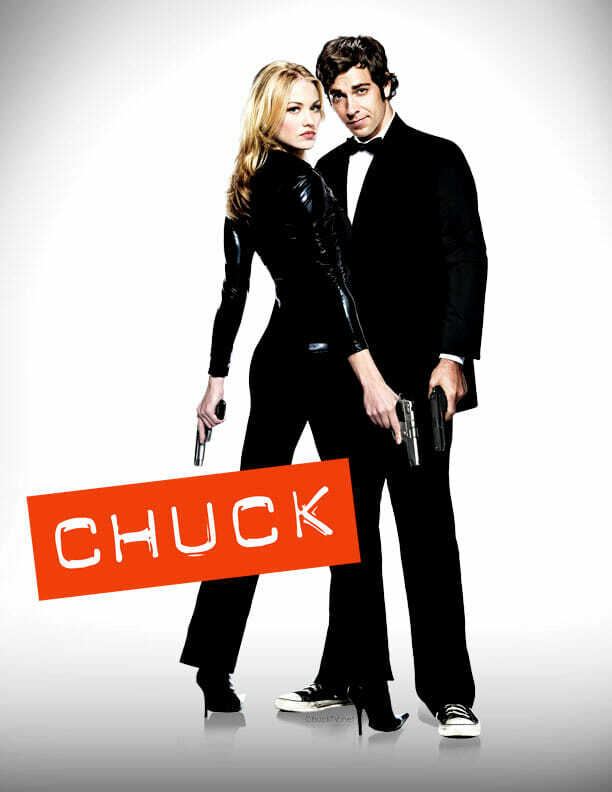 Watching Chuck right now and love it! Add to the list–Frasier, Psych, and Monk–some great TV characters. I’ve been watching The Wonder Years on Netflix. Takes me back to my adolescent years. Winnie Cooper and Kevin were such a sweet love connection. Such a simple and powerful show. My all time favorite show is Desperate Housewives. But I must repeat, Desperate Housewives is my FAVORITE! You’ve covered 7.5 favorites here (scrubs is half because even though I love it, I haven’t seen the whole series) so I fully trust you and need to get on it and watch the rest of these. Did you see Perfect Couples? It’s either on Netflix or Hulu. It was short lived like Happy Endings but really funny. I have a not so secret crush on Zachary Levi (oh Chuck me!). Super talented (voice of Flynn Rider on Tangled) all around good guy. Highly recommend Chuck! I have been binge watching New Girl lately. Can’t wait for season 3 to be on Netflix. I also enjoyed the first few seasons of White Collar but actually haven’t seen the last couple. Flight of the Conchords is a favorite too! I guess I have a thing for canceled shows–my all-time favorite is Pushing Daisies. I am still sad that that got cut short. Also I loved Firefly. We’ve re-watched those few episodes that were made before it was canceled several times. I grew up in Orange County so I think Arrested Development is also especially hilarious. I ALMOST put Pushing Daisies on there, but it’s been so long that I felt like I needed a re-watch first. But we loved it so much when it was on! I love Frasier, Everybody Loves Raymond, and King of Queens. Rewatching them still makes me laugh. Obsessed with Gilmore Girls!!! I’m going to try Friday Night Lights out now. Absolutely loved this post and all the comments with other shows people are watching! Oh my word. How could I have neglected Downton Abbey and Call the Midwife!? Love me some BBC drama. Seinfeld!!! I’ve also been watching old boy meets worlds with my kids and forgot how great that show is! Good luck Charlie is also a really good family show! THE WEST WING is soooo awesome. I started it this summer and haven’t been able to turn it off. Seriously should be your next binge-watching show. You have got to check out “Being Erica”. It’s from Canada and was shown on the soap network until the last season. I had to buy them all because they are just so awesome and I want them with me forever. You have to experience this one! “My so called life” is another one that was just so awesome but it didn’t last long. This is where Claire Danes came out as a young fabulous actress. “Joan of Arcadia” – I LOVED THIS ONE. And it was ramping up to a really great ending (epic good vs evil fight) and then they just cancelled it right from under me. I will never forgive those fussy pants for doing this to me, um, I mean everyone. Joan of Arcadia was another one of the those shows that really sneaks up on you! I thought it was a shame they ended it right when it was developing into something epic. I really thought Jason (?) Ritter was a paraplegic he did such a great job. Another show we watched the same time as “Joan” was “Tru Calling”. That was a binge watcher and it has Zach Galifianakis playing a very serious character unlike his “Hangover” persona. YES! I loved that show too!!! Oh! And Lie to Me is an old favorite! Super cool premise and the first show my husband and I watched together from start to finish. I’m having a hard time sticking with breaking bad….it can be s.l.o.w. Breaking Bad is one of my all-time favorites. EVER. But if I put it on the list, it means it’s not ever comig back and I haven’t come to terms with that! This is my very last post – I swear – but everyone has to watch “The Wonder Years” at least once in their lives with cute little Kevin and Winnie. I’m totally re-watching this while I’m on the treadmill….. I lied – just one more – “HOUSE”. Come on that show was witty, scary, and great. The ending was even open so I think there should be a come back some day…. Chuck is hands down my favorite show. I am still devastated. Oh the office…my husband and I spent one anniversary right after we had our baby snuggled in bed watching the first two seasons on DVD since we hadn’t seen it yet to get caught up. I think that will forever be one of my favorites for the awesome show and the great memories! Thanks for more to add to our list! Gilmore Girls is an all time favorite of mine! I started watching it when my first was born, while I nursed him. It has such an emotional connection for me. I go back and watch it all the time because it takes me to a happy place. I pretty much love all the shows you put up. Yep, I love TV! I won!! I just checked my email and found that awesome news. Thank you both! And, thank you for placing Chuck on this list. That is probably my all time favorite show and we have such happy memories from watching it as newly weds on our computer late at night and racing home so we didn’t miss anything. I can’t wait to try out some bare minerals! My daughter and I just got done watching Buffy from beginning to end. I’d seen the first few seasons, but so long ago that I didn’t remember much. It was AWESOME! Now we’re moving on to Angel. I don’t think it’s quite as good, but so far it’s entertaining. The only TV show that I own on DVD and am constantly encouraging people to watch is Battlestar Galactica (the series that started in 2004 — 2003 if you count the mini-series, not the one from the 70’s). Maybe I’ll convince you, but I haven’t been able to convince my friends that it is NOT sci fi – or at least not just sci fi. Yeah, it takes place in space, but it’s really a drama, wtih politics, religion, terrorism. It is SO GOOD! I do love me some Battlestar Gallactica. I didn’t connect with it emotionally the same way I did some of the others, but it was undeniably amazing! Gilmore girls and Friday Night Lights are my favorites! Love me some binge netflix tv marathons. There are a couple on your list I haven’t seen. Sounds like I really need to watch Buffy. I always wanted to watch Friday Night Lights when it was on TV. For some reason never did. Then you would periodically bring up the (yummy) Kyle Chandler or (delicious) Tim Riggins and I found time to watch them all via Netflix. When I was finished, about 2weeks later, I bought the entire season on DVD! The final episode of Scrubs is beautiful, it’s on my DVR and sometimes I just watch it when I need a good tear-fest. We have been enjoying Chuck up until recently. It’s kind gotten weird, so we’re ready to try something new. Thanks for the ideas! I absolutely love the Cosby show and Hogan’s Heroes (and yes have them on DVD), and still go back to them when I have a baby to nurse, and just need something on to laugh at. I binge watched How I Met Your Mother after my son was born too! I’m still waiting for the final season to come out on Netflix. You should try Better Off Ted! The hubs and I stumbled upon it and were so bummed when we found out it was cancelled. Still, it was a great little comedy. I also miss Chicago Hope. That was a great dramedy I grew up with. I love the quirky family comedy of Malcolm in the Middle. The Office and Parks and Recreation are also at the top of my list. I really got sucked into Parenthood and love it even though it can be over dramatic. Downton Abbey and Call the Midwife are amazing! My family also likes to watch the PBS series Nature together and as silly as it might sound, I love watching Wild Kratts with them. Pushing Daisies, Better Off Ted, Psyche, Monk, Sherlock, and Firefly have been some of our favorites. Right now we’re watching Scrubs and White Collar. My new love is Cheers. I watch it in the middle of the night as I rock my baby back to sleep. And Frasier just appeared and I can’t believe how young/skinny he is. My husband and I watched chuck last year and we looved it. Also, we are huge office fans. 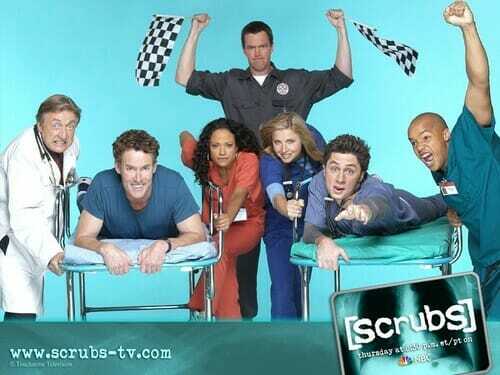 I agree that the finale of season 8 of scrubs was one of the best finales ever. I love parenthood and glee is my guilty pleasure. Shh… don’t tell anyone. Haha. I also loved the earlier seasons of greys anatomy. It made me a little crazy though! Thanks for the post! Im exciyed to watch the shows that you had listed. I just wish I could stream friends.waaah! It’s already on my christmas list. For like the last 3 years.sigh. someone please help my husband! FRIENDS!!!! I have all the seasons and watch the reruns on tv all the time, I’ve probably watched each episode SO MANY TIMES! And the OFFICE! HILARIOUS!! I still LAUGH OUT LOUD at the funniest episodes. That was a great series finale as well. 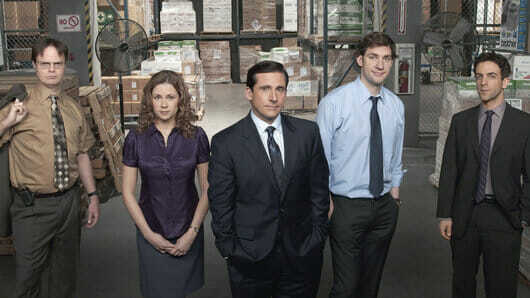 And a great goodbye episode to Michael Scott. Right now, watching VEEP from HBO- another LOL tv show! But so far, nothing to me has equaled Friends or Office. We really enjoyed the first couple seasons of Prison Break. I started watching 24 a month or two ago and I’m on season 4 now. Alias is a good one we watched all the way through. Alias was my first binge-watching experience, back in the days of Netflix DVDs in the mail. I could not wait to get new disk! We moved onto 24 from there and would stay up half the night watching it! Wasn’t there something so special about watching TV series’ on Netflix when you had to wait for them in the mail? Only three or four episodes at a time and you’d anticipate getting the next disk in the mail and decide if you would sacrifice the sleep to watch just one more episode so you could get it in the mail the next morning. We caught up on the first 5 seasons of House that way and it was great. It’s weird that there was sort of something more fun about doing it that way then “on-demand”. I’m saying this as a 30 year old…imagine what sentiment an 80 year old might have on the same topic! Our favorites have to be Psych, Lost, Monk and we just started watching Burn Notice. Love Gilmore Girls, too. I wish I could converse that cleverly in real life! Oh, we’re definitely a TV on DVD family. It’s one of my favorite things about shopping on the day after Thanksgiving: you can get a season for $10 or so! We love Farscape! We also love watching Stargate (the series, but you should still watch the movie that was the premise of the series with James Spader just to see how much better the series is) We thought it was even better when “John Criton” and “Erin” were added to Stargate! Stargate and Stargate Atlantis are actually the only two TV series we own! They’re good even if you don’t like SciFi too much. It’s something we’d all watch as a family. Going way back…we LOVE the Cosby Show. We watched it while in labor with my first and during all those newborn nursing days. My husband and I gave each other seasons 1 and 2 for our first Mother’s Day and Father’s Day! We eventually got all the seasons and seeing as my oldest is 8, its time to rewatch them. My guilty pleasure show (whenever I can find the second season to watch legally!!!) is The Next Step. Heh… it’s a Canadian teen drama set up like a reality tv show about these teenagers at a dance studio. All of the dancers are from So You Think You Can Dance. We love so many of the same things but I want to talk News Radio. Remember when Jimmy James was running for president and his campaign song was “Life’s Been Good” by Joe Walsh? HILARIOUS! And when he said, “I am a cipher, a cipher wrapped in an enigma, smothered in secret sauce…” I loved that character so much! And the West Wing is totally worth watching…so much goodness. We must be kindred spirits. I love so many of those shows. I will have to check out the ones I’ve never seen. I’ve always felt that Scrubs was under-appreciated. It is one of those shows that I could watch over and over, along with several others of the shows you mentioned. I can’t recommend Six Feet Under enough. Seriously. Best series finale ever, too. Dexter (although the last episode was really…wtf? Weeds was freakin’ hilarious. And if you want more funny, find the original (BBC) version of Whose Line Is It Anyway (not the Drew Carey hosted version, but the Clive Anderson version). The Drew Carey one was okay, but the BBC gets away with A TON more than we do over here. The new CW version is pretty good too…and speaking of Aisha Tyler, everyone needs to watch Archer. We quote that show all the time (and Bob’s Burgers…because I am Louise). But the best (for me, anyway) was and will always, always be M*A*S*H (I have had the biggest crush on Alan Alda since I was about 8). Classic show. Have you ever watched Suits on USA? We stumbled across it last year and watched all three seasons that were on Amazon in a month. It’s such a great show! Gilmore girls is one of my favorite shows. Never gets old! Castle is also great! I miss Happy Endings! That show definitely ended too soon. Another one that ended way too soon for me was My Boys. I own all the seasons and it’s one I go back to often when there’s nothing else on and I want a good TV marathon. I would add a fourth category – Gritty Crime Drama – and suggest The Killing, Homicide: Life on the Streets and Luther. I labored while watching Luther and then frantically watched the last two episodes in the hospital before they sent me home! I definitely want to revisit Gilmore Girls. and Lois & Clark: The New Adventures of Superman. i loved that show. We are a cable-free household which means lots of Netflix time! ’30 Rock’ is probably one of my favorite tv shows of all time, after watching the whole series this year. Also love ‘How I Met Your Mother’ and ‘That 70’s Show’ if we are feeling comedy. My husband and I love West Wing and the whole family loves Psych. A couple of TV shows we’ve loved and collected as a family are The Muppet Show and The Cosby Show. The West Wing is one of my favorites to go back and watch. Gilmore Girls and Lost,too! 2. The West Wing. I didn’t start watching it until my husband and I were dating – it was “his show.” I really got into it though. He says the first couple seasons were even better than the last ones. 3. Everybody Loves Raymond. Another one that I didn’t watch until my husband entered my life, but, boy, do I find it hilarious! 4 & 5. Friends and Gilmore Girls – I’m with you on those two. What is not to love!?! Northern Exposure is a favorite. I have it on DVD, but I wish it were also on Netflix. It’s quirky and charming. Marilyn, the medical receptionist and Ruth-Anne, the store owner are my favorite characters in the show. I also love Joel and Maggie and Ed and Maurice and Holling and Shelly and, of course, Chris on the radio. Love love this show! We only watched one series on your list: “Chuck”! It was very good and I was sad to see it go. My all time favorite series that is gone now is “Stargate”. That was a great show! Sob! Gilmore Girls will always be a favorite for me. I can re-watch episodes over and over again and still laugh and cry! You have two of my all-time favorite shows up there. Buffy…I mean, c’mon. Yes, campy and corny, but a great show, bottom line! 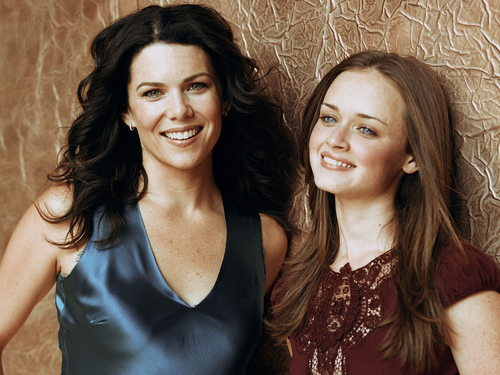 And Gilmore Girls – a show that really modeled the kind of single mom I wanted to be and the sort of relationship I hoped I would have with my daughter. She is now nearly 17 and I am over-the-moon happy to say we are just like them – exceptionally close with honesty and an abundance of love. I actually just added it to my Netflix queue yesterday, actually, so we can watch it together. 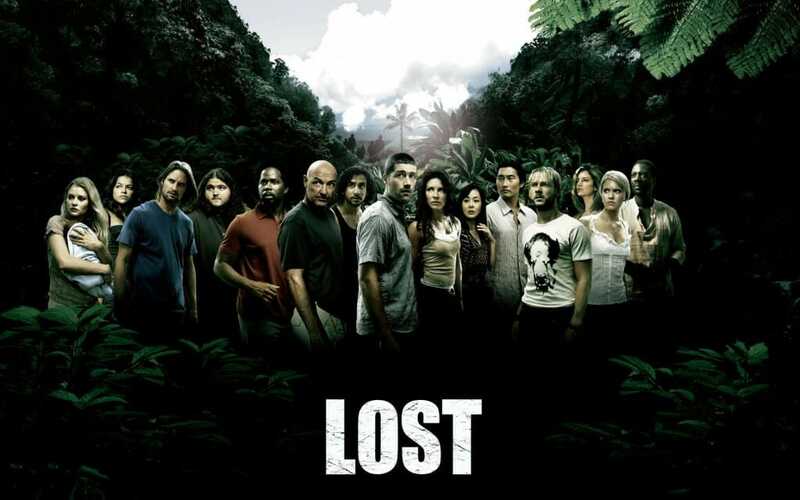 I also just added Lost – I watched a few episodes but didn’t have the time to invest when it was on tv. I have a hard time coming in to a show either mid-season, or mid-run…you miss so much, especially inside jokes. Lastly – my favorite show that only lasted one season was Roar back in the ’90s. It starred a VERY young Heath Ledger as an orphaned Irish boy trying to defeat the Romans. Happy to say it’s on Netflix (also added to my queue lol). I would highly recommend!! CHUCK!!!!!! Missed it so much that I sat up late into the night recently and watched the whole series, in bed, on Netflix, on my tablet. Seriously. And that final episode? What the heck? Only leaves you wanting more. And since I am on my soap box, why are there no reruns? Just sayin’. Great list! 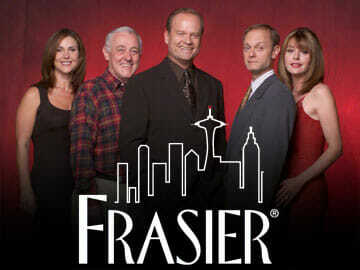 We have watched all of Friends and all of Frasier MANY times. We decided after the last time we watched Frasier that we should watch Cheers since that’s where Frasier came from. It’s definitely older, but still very funny. There are several on your list I’ve never seen so I’ll have to convince my husband we want to try a few of them. Happy Thursday! I will have to add some of these to my watch list. 2 of my favorites are House and Heroes. My favorite tv shows are Pretty Little Liars, The Lying Game (it got cancelled mid-season 2), The Vampire Diaries, Revenge, and Once Upon a Time!!! The husband loves Arrow, and The Killing. I did love Happy Endings! So good! Seinfeld is one of my all-time favorites, with Season 8 being the best (you can’t go wrong with the Soup Nazi). I can’t believe Happy endings got canceled. Man was that show hilarious. I am a recent TV show junkie. Gilmore Girls is a consistent repeat in my house, and especially gets turned on when I’m sick and pregnant lol. Just finished Friday Night Lights and absolutely loved it (also…I’ve been in love with Kyle Chandler since his Early Edition days). But because I also love really odd shows…I also have to add in one of my favorites is Doctor Who. My husband gave me the most horribly painful look when he watched the first two episodes with me (he thought I was the weirdest person ever) but he got completely hooked. Good blend of quirky, fantasy, drama, comedy, everything. Love to see Newsradio on your list. Not one of those that at gets mentioned, like, ever. One of my very favorites though. I love a lot of the ones mentioned! I’m just currently getting into Scrubs through re-runs. The show I want anyone and everyone to know about (our set of DVDs has made the rounds with our friends) is Eli Stone! It’s flat-out fantastic! It was only 2 seasons long (writer’s strike casualty) but oh what a 2 seasons they were! Another great show (also only 2 seasons for the same reason) is Pushing Daisies but I’ve definitely learned that one is hit and miss with people. There doesn’t seem to be a half-way, folks seem to either love it or hate it. It was so whimsical and fun and quirky – I just loved it! West Wing and Gilmore Girls – the two best series ever! I really like that you can watch them over again and still find it just as good the third or fourth time. I do sometimes pick up on things I missed the first time that make sense now I know where things went from there. You should check out “Little Mosque on the Prairie” – it’s a Canadian show and brilliantly written. Excited to try some of your recommendations! Thanks! I’ve been reading the Divergent series and have such a hard time imagining a hot, strong guy being named Tobias. Blue man group and shorty shorts. Now that’s Tobias! Haaaa! Oh my gosh, you’re so right!! I know I’m totally going old school (and believe me, I LOVE pretty much all the shows on your list…I mean, my friends and I had a Friends Finale party in our dorm with self-made iron-on transfer Commemorative T-Shirts…the local paper even wrote about us) but I think The Andy Griffith Show, The Duck Van Dyke Show, and The Mary Tyler Moore Show are just hilarious. It’s good comedy at its best…and nothing was forced. “The Pickle Episode” of Andy Griffith makes me crack up every single time! They are classics! If you like Eureka, you should check out Warehouse 13. My husband and I have really enjoyed that one. I have watched some of those…but I actually bought some of my own. You should try them out! Ghost Whisperer, The Unit, and of course the Love Comes Softly series! However I think I need to check Netflix for Happy Endings and Studio 60 on the Sunset Strip! Have you ever seen Haven or watched Cedar Cove?! Those are some good ones to watch as you cook or as you nurse…though I haven’t watched them as I nursed…I haven’t had a baby! But I enjoy watching them to help relieve stress! My roommate in college got me addicted to Gilmore Girls. I can’t even begin to describe my love for that show. The dialogue is perfection. I have to say one of my favorite episodes was when Kirk was Jesus in the live painting show. Oh my gosh. HILARIOUS! I’m on the other side of the fence. I LOVE sci-fi. I was sucked into Doctor Who last year and it has become my all-time favorite show. 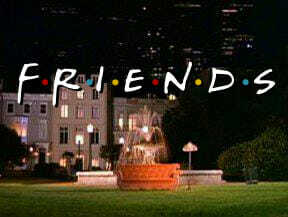 Otherwise, Friends will be the show I quote until the day I die. Firefly!!! It’s a space western, and Joss Whedon wrote it…he also wrote Buffy and Angel…and the Avengers movie. I can’t believe no one put ALIAS on the list!!!!! Alias!! It’s so great. I can’t describe it. It’s like a less sweet, more LOST version of Chuck. It has Jennifer Garner and Bradley Cooper when they were young and sweet (I still think of him as Will every time I see him in something.) oh it’s great. I highly recommend. I agree completely with most of these. Friday Night Lights started right after we got married and it was our show. Of course it totally related to every day life. Friends has to be the all time best. It filled so many years of growing up for me. I still say lines casually in conversation. My husband hears “Joey doesn’t share food!” A lot at the dinner table. And not on the list Veronica Mars. Just watched the movie and am saaaad that it is over! Love Gilmore Girls, more than anything! I used to use it to calm my little girl down at night, so much so that she walked out and requested it from my husband and he had no idea what she was talking about. Also love Psych and Pushing Daisies. I must say that my husband and I got really attached to Go On and were devastated that it was only one season. One of my all time favorites was Dharma and Greg. And also, Northern Exposure. I just finished watching Wings on Netflix. It was at the same time as Cheers and pretty funny. Oh, and Dance Academy (an Australian show) is a good, teen angsty drama based around ballet and can be found on Netflix. I was never been too big into watching TV, but since we recently re-subscribed to Netflix I’ve gotten hooked on a few good time-suckers. Bones is definitely a favorite of mine, though I’m majorly behind on it. I think that is the only show that I can pinpoint out of all nine seasons which episode is my favorite. I think it’s in season two, after they’ve really developed a good working relationship, and Booth is recovering from getting shot. Brennan teams up with an old co-worker of Booth’s and he ends up being the episode’s psycho and chains Brennan up and is going to feed her to the equally psycho and hungry dogs. Enter Booth to save the day, even in his state of vulnerability. He bursts into the abandoned warehouse, finds Brennan, and when he can’t get her unchained, he maneuvers her cuffed wrists over his head and around his neck and frees her. *Swoon* It was in that moment that I KNEW that without a doubt they had to be together!!! Thanks for the awesome list!!! If it were mine, I would add Everybody Loves Raymond. When I saw the title of your post I thought, she better mention Arrested Development or this relationship is over! I’m so happy that you did- now I don’t have to burn my beloved OBB cookbooks!! I’m a little hesitant to try any that I haven’t seen in fear that I might be glued to the couch for a while…oh, and I know this is a current show, but you should try The Mindy Project- I laugh out loud all alone every time I watch it! Did anyone watch Bun Heads? It’s by the same writers of Gilmore Girls about a ballet studio, kind of a teenage show, but it had Sutton Foster and some of the actors from Gilmore Girls. I loved it so much and it only lasted two seasons. Love your list! I’m watching FNL right now thanks to you! And Buffy was filmed at my high school while I was a Jr and Sr. We’d just walk around the set to get to class! There are some great ones on your list, and I like all of them. Except Happy Endings. I didn’t like that one at all. Felicity was always a fave 🙂 One of these days I’ll watch the seasons from start to finish again! Firefly!! Firefly!! I can tell you’re not as much a fan of scifi, or it definitely would have been on the list. 🙂 If you haven’t watched it, you definitely should, and then the movie they made at the end, Serenity. We are currently watching Chuck but now I am scared to finish it after reading the comments about the finale. I made my husband watch FNL with me after all of your references to it and absolutely loved it. Now I think I need to start Gilmore Girls after we finish Chuck. I love TV. And your list includes a few of my all-time favorites. I adored Buffy the Vampire Slayer, and Happy Endings was good. I also enjoyed Scrubs. I do miss shows like Melrose Place or 90210 (am I showing my age?). And I got hooked on One Tree Hill on my last maternity leave – the soundtrack for that show just drew me right in. YAY for News Radio!!! It’s one of my most favorite shows EVER and no one has ever seen it! And I totally agree with Phil Hartman’s death being devastating. He was amazing. You’ve got to watch ALIAS. I’ve watched it about a dozen times from start to finish. It’s done by J.J. Abrams, (creator of LOST) so you know it’s good. I still can’t get enough of it. Jennifer Garner is amazing. Best thing she’s done. I love that you included Studio 60. One of our favorites, we were so sad that it only lasted a season. I have to say, if you liked that (and so many others that I like too) you might like West Wing. This is one that we have bought every episode and watched it 3-4 times all the way through. I LOVE LOVE LOVE this show. It’s smart and funny and amazing. Loved west wing and the office! I watched every episode of both when my husband was in grad school and I needed something to escape with after the kids were in bed. There was a show named “Homefront” back in the early 90s. Amazing!! I am watching Gilmore Girls season 2 right now! I love Veronica Mars, just like others above and I want to re-watch Chuck. We are big into binge watching seasons of TV shows we haven’t seen before at the moment my husband and I are watching Shameless but we have 3 or 4 more on a waiting list. Now that you’ve covered off-the-air shows, how about you do a post about current shows? My husband and I didn’t have tv for the last two years while he was in grad school and I was finishing up nursing school, and I feel so out of the loop! I don’t know anything that’s on now! Lol, we’ve had TV forever, and I still feel out of the loop. Usually we just watch contest shows (Master Chef, So You Think You Can Dance, etc.) but I swear, any time I like a show, it gets cancelled. The exception being The Mentalist. I LOVE that show! I completely forgot about The X-Files!! I didn’t start watching it till half-way through its run, then I had to catch up on FX reruns of the earlier seasons. And in the same spirit, I would suggest Fringe, with season 3 being the best. I loved Gilmore Girls, and find myself wanting to watch it again. Anyone know where you can steam it? Oh man. There are so many good ones. If you like the behind the scenes kind of show you should try Sports Night. It was only on for a short while but it was a good one. Love love love “Buffy” and “Chuck” as well. And until he ruins it for me, I also have a crush on Zachary Levi. What a sweet and quirky fella. Great picks! HEARTLAND! My husband and I are excited for season 8 coming out this fall!!! I clearly don’t watch enough television. LOL. I have the Friends box set and we’ve watched it so much that we often respond to each other in quotes from the show…it’s sad. The only other TV on DVD we have is the box set of Law & Order – the original, my favorite. And I’m currently watching Gilmore Girls that I’ve borrowed from my sister. But you have talked me into trying Friday Night Lights when I’m finished. Thanks! My husband and I are always trying to figure out something new to watch. Thanks for the list! Let me just say, it’s like you wrote this post for me. This is incredible! I have a 3 week old and my husband just started medical school. Let’s just say I have a lot of down time between nursing, a sleeping babe and my husband gone for about 18 hours a day. I have been in dying need of new TV shows! I’m so very glad that Chuck made the list. I LOVE that show! Also, I agree with you on the ending of Lost- it made me mad. In fact, just a couple weeks ago I out of the blue thought and seethed about the ending and everything that was left unanswered. Oh … And I was really sad when they took ‘Samantha Who’ off Netflix .. It helped me thru my last pregnancy … I may need to get those on DVD too, can’t find it to stream. Love your recommendations, I’ve seen most but will have to try out the ones I haven’t. Gilmore Girls will always hold a special place in my heart, I have watched it several times through and got my husband hooked. Seinfeld is a close 2nd, the episodes just get better and better. I totally have series I relate to each child that I’ve had- all those late nights and nursing! I’ve gotten a few friends hooked on Felicity, if you haven’t seen it you need to push through the first couple of episodes because they are so awkward. Veronica Mars is one of my favs too. Oh I love love love Chuck!! Why did it have to end?! Some of my favorites are Charmed and Smallville. I’m currently watching Eureka and I’m liking it! Great round up of good shows! Not off of tv yet, but I looove Parenthood. I cry every episode! Also, I love Covert Affairs. Best show! Have you seen the Netflix season of arrested development? So funny.